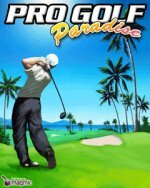 Pro Golf Paradise for Blackberry | BlackBerry Blast! We all know that our handhelds are really most importanly used for...games. Now you can even get on the golf course with your Blackberry. Escape to the ultimate golf destination and forget everything else! Pro Golf Paradise features perfect summer weather all year round, spectacular scenery including stunning coastlines, and challenging courses. Get ready for the greatest golf experience...on your Blackberry!